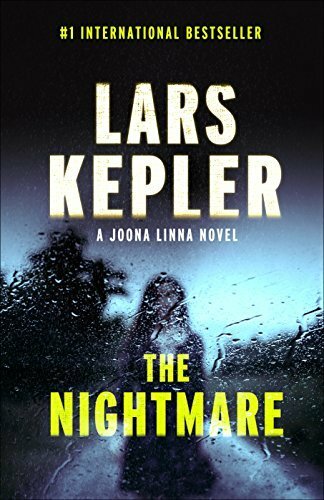 Swedish husband-and-wife team Lars Kepler delivers a fast-paced, gripping thriller with THE NIGHTMARE—the second book in the Joona Linna series. First, a woman is found dead on a boat, her companions, vanished. The next day, a man is discovered hanging in his home under suspicious circumstances. Stockholm detective inspective Joona Linna is called to both cases, which are seemingly unrelated at first. One seems like a suicide, but it doesn’t feel quite right, while the other case becomes more bizarre as details are revealed. The woman in the boat died of drowning, but shows no sign of actually being in the water. Joona Linna soon finds himself caught in a tangled web of dangerous deception, pulled into the sinister world of arms export business. Worse yet, there’s a professional killer trailing behind, ensuring no evidence or witnesses remain. This is the second book I’ve read by Lars Kepler, and I’ve somewhat read them out of order unfortunately. The other novel I read and loved is THE SANDMAN, and I need to go back and read the first book in the series, THE HYPNOTIST. With THE NIGHTMARE, Kepler once again delivers a story that’s immersive and unflinching, both compelling and complex—I was never bored or confused despite the multi-layered plot. The characters are thoughtfully nuanced and interesting, making you want to know more about them as individuals. This series really strikes the right balance between plot complexity and propulsive pacing. While things take time to unravel and connect, there is enough going on, enough surprises and twists, to keep you rapt from beginning to end. I can’t wait to continue with the series.